It’s a wonderful feeling to see someone smile…and that too if you are the reason behind that…then it is icing on the cake…….!!!!!! I feel so fortunate that I could make someone smile….!!!! There is a new joinee in our office, let us call her JM…she got her first salary this month…and she wanted to gift her Mom something. I made a card for her mom…and guess what her mom liked it…and it made her smile….!!!!!! JM said that her mom loved the card…. 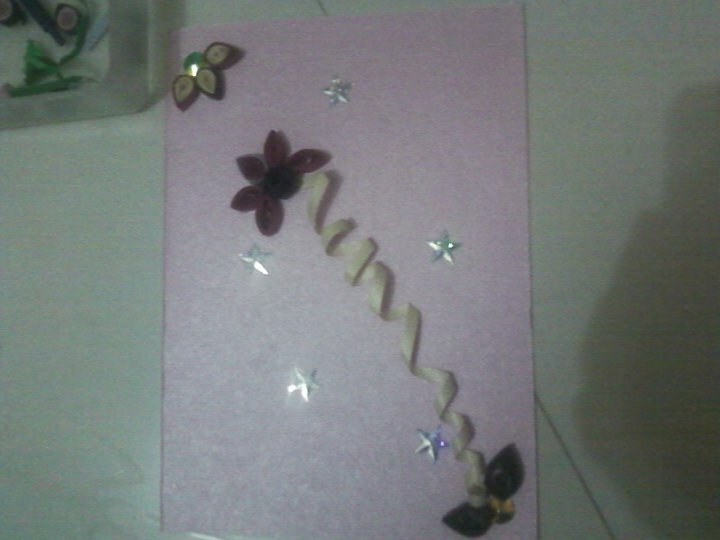 So all of you out there if you need a handmade card to gift to your loved ones….do let contact me….!! And finally there are some days when sleep becomes your long lost friend….and the events of the day keep running in your mind….!!!! Today is one of such days…..I am so loving this climate….the cool breeze….kissing my cheeks…..!!!! Thank you GOD…..for all these small yet wonderful moments of joy which bring a wide smile on my face….!!!!!!!!!!!!!!!!! This reminds me of famous saying KAR BHALAA SO HO BHALAA. Keep up with your helpful attitude. I too pray that their love is fruitful. Thanks uncle…your blessings matter a lot!! !